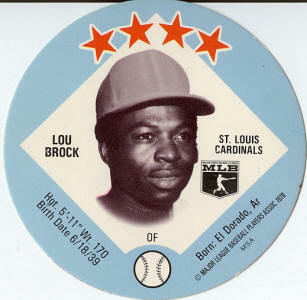 Most people were upset that the Cardinals traded a starting pitcher for a bench player, but Lou soon showed everyone what he could do. It wasn't long before he was swiping everything in sight. 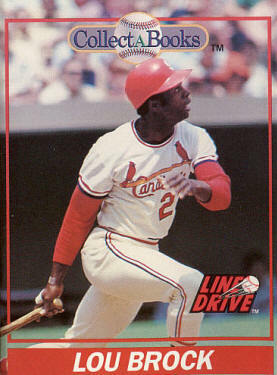 When he would get on base, he would disrupt the whole defensive alignment. 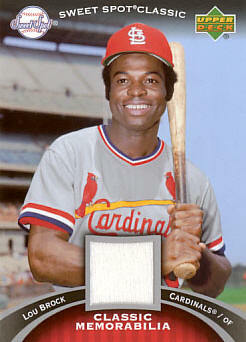 He also turned out to be a pretty good hitter! 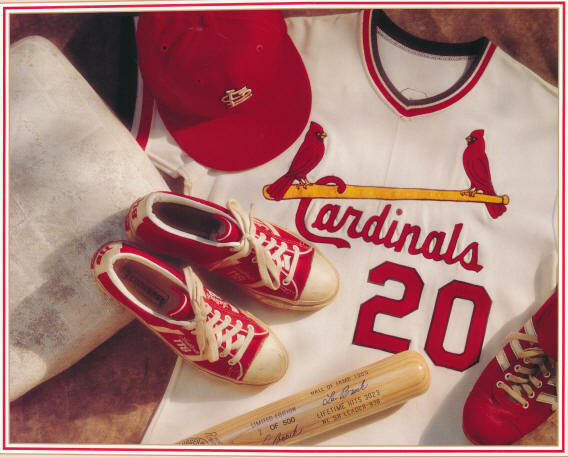 Late in his career, 1978, he had a bad year and everyone thought he was washed up, but the next (and final) year he showed again what he could do. 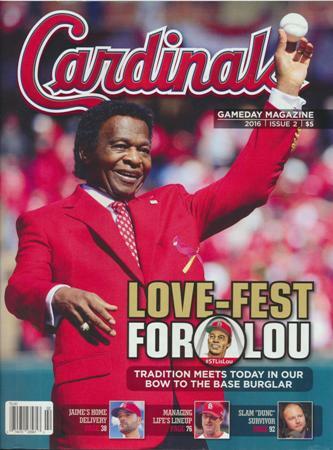 The Sporting News has ranked Lou number 58 in their list of the top 100 greatest players of all time!!!! 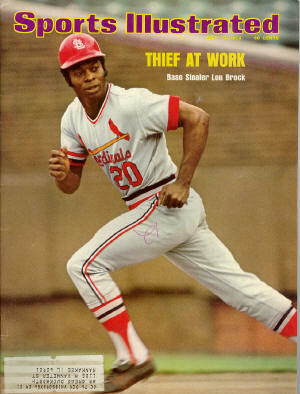 - Stole more than 50 bases in 12 consecutive seasons, MLB record. 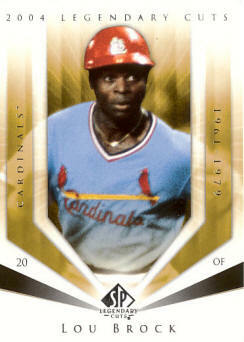 - Led the NL in stolen bases 8 times. 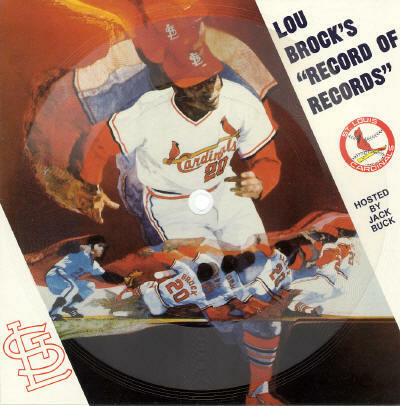 - Lou collects hit # 3,000. 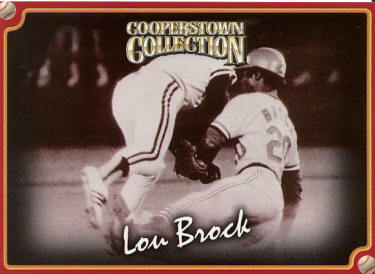 - Lou steals # 893. 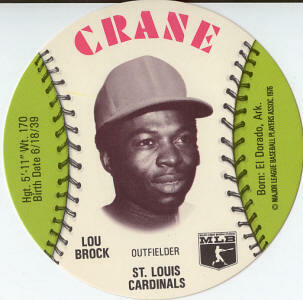 "I'll tell you with my head that I'm going to steal second base. 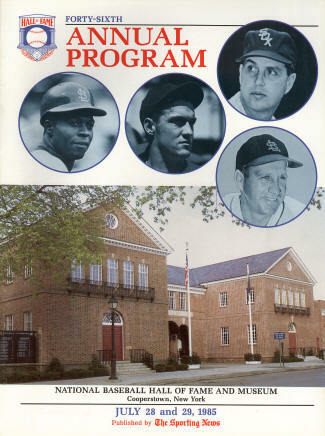 You know I'm going to, but there's nothing you can do to stop it." "Show me a guy who's afraid to look bad, and I'll show you a guy you can beat every time." 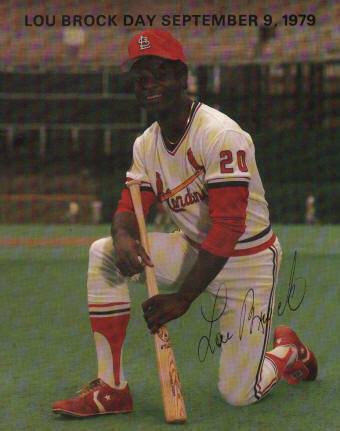 Lou is one of 19 players in major-league history to collect 3,000 hits in his career, but one of only four who never won a league batting title. 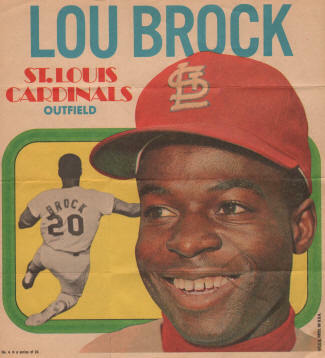 Although in his Cardinal debut (6/16/1964) Lou batted second and had two hits, including a triple, and he stole a base. The star of the game was Ken Boyer, who hit for the cycle in the 7-1 win at Houston. 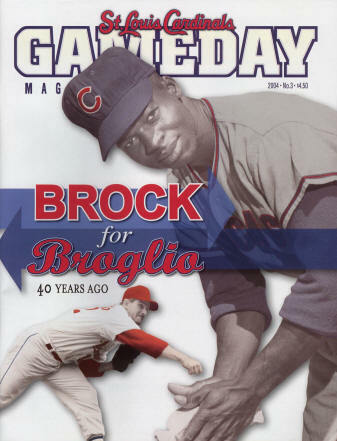 In reporting the trade of Ernie Broglio for Lou in its June 16th, 1964, edition, the St. Louis Post Dispatch said, "Why didn't the Cardinals get more than Brock, a flashy outfielder who could become a star, for Broglio, a 15-game winner last season and still regarded as a top pitcher?" 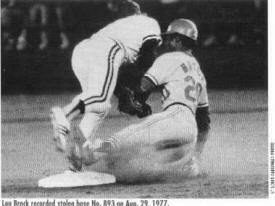 "The most important thing about basestealing is not the stealing of the base, but disturbing the pitcher's concentration. 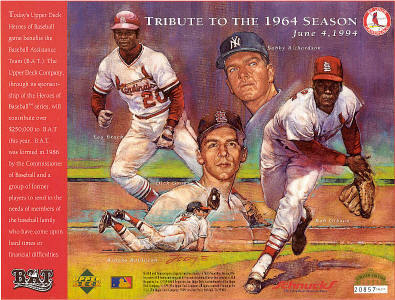 If I can do that, then the hitter will get a better pitch to swing at and I will get a better chance to steal." 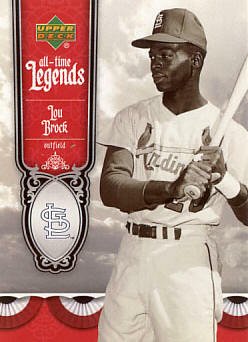 In his great career, Lou Brock stole two bases in the same game 135 times. 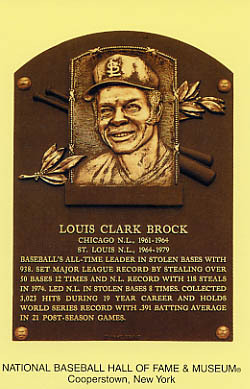 He stole three bases in a game 19 times and his career high of four steals was accomplished on three occasions. 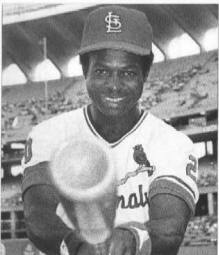 On August 13th, 1979, Lou singles off Dennis Lamp, for career hit number 3000, as the Cardinals beat the Cubs, 3-2. 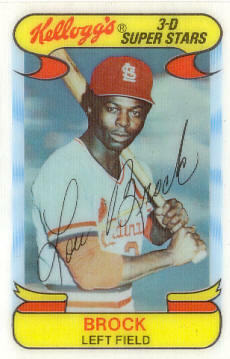 Lou was the first Cardinal player to hit 20 or more home runs and steal 50 or more bases in the same season. 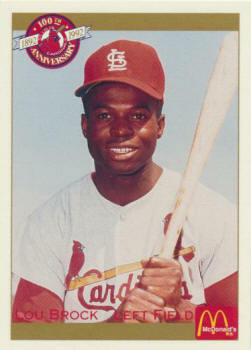 (1967) He hit 21 homers and stole 52 bases. 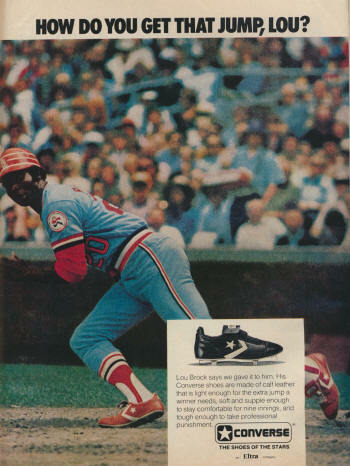 When Lou stole a major league record 118 bases in 1974, he had no steals of home. He was thrown out on his only attempt. 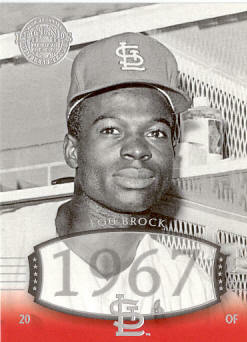 After starting his World Series career 2-for-19, Lou bashed 30 hits in his next 59 Fall Classic at bats (.508) between 1964 and 1968. 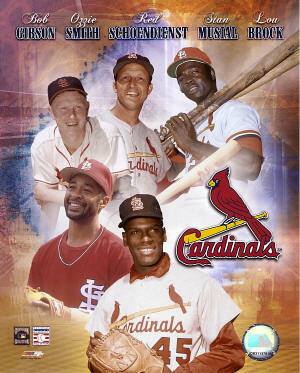 Included were six doubles, two triples, and four homers, plus a record 14 stolen bases. 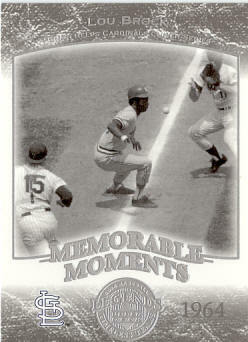 In 1965, Lou grounded into only two double plays in 155 games. 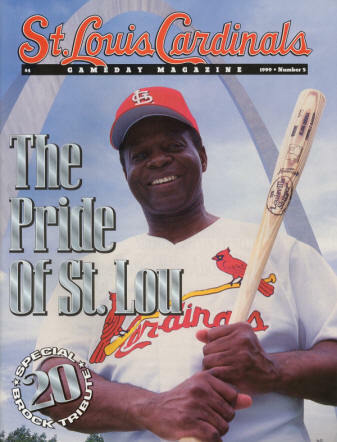 Lou holds the Cardinal record for career leadoff home runs with 21. 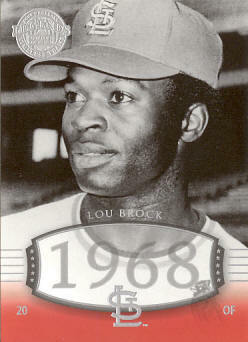 In game 4 of the 1968 WS, Lou became the only player to ever hit a double, triple and home run in one WS game. 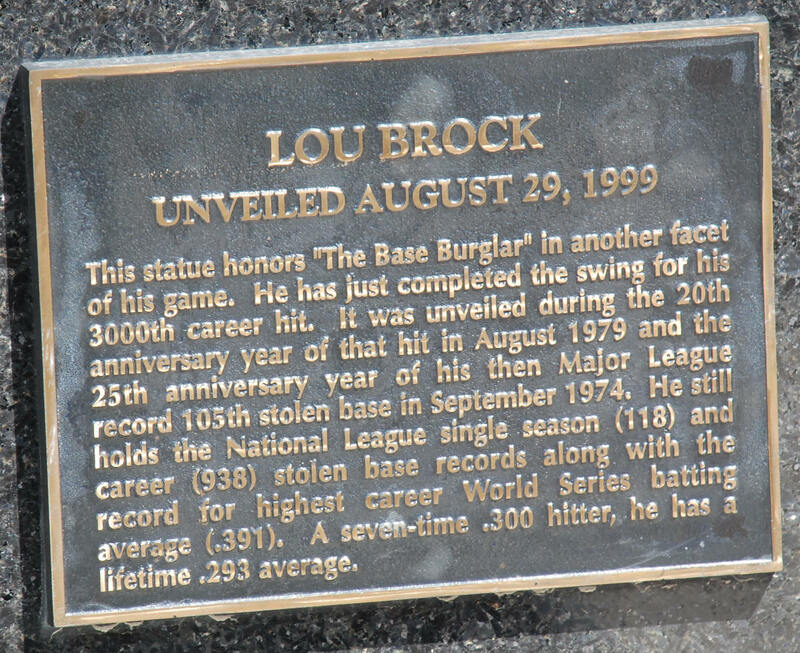 In 1968, Lou is the first player since Honus Wagner in 1908 to lead the NL in doubles, triples and steals in the same season.